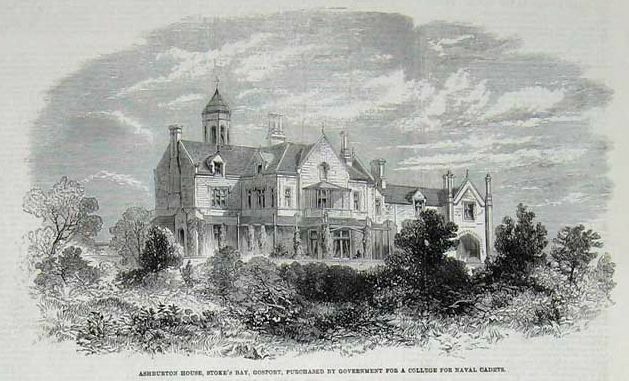 Bay House was built as a Summer residence for the first Lord Ashburton (Alexander Baring), a wealthy financier, in 1840-1842 (some sources erroneously state 1838), on the site of the old Ordnance Brickworks. 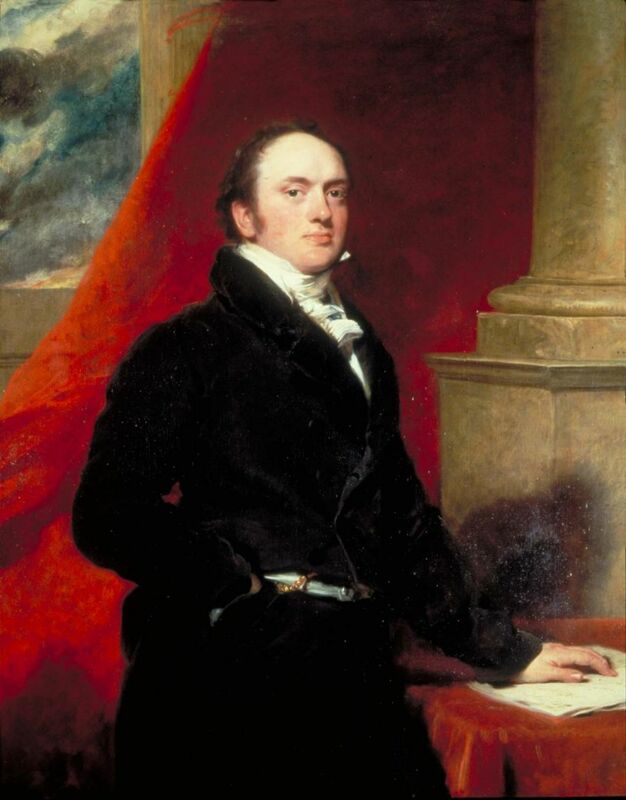 Alexander Baring was the second eldest son of Sir Francis Baring and was a brilliant businessman. He played a leading role in the purchase of the Louisiana territory by the government of the United States in 1803. He retired from the bank in 1830 and became more involved in public life. He became President of the Board of Trade. He was was created Baron Ashburton on 10 April 1835. The house was designed by Decimus Burton, a well known architect of the day. A friend of Lord Ashburton, John Croker, built his own house, Alverbank, on land he purchased nearby. 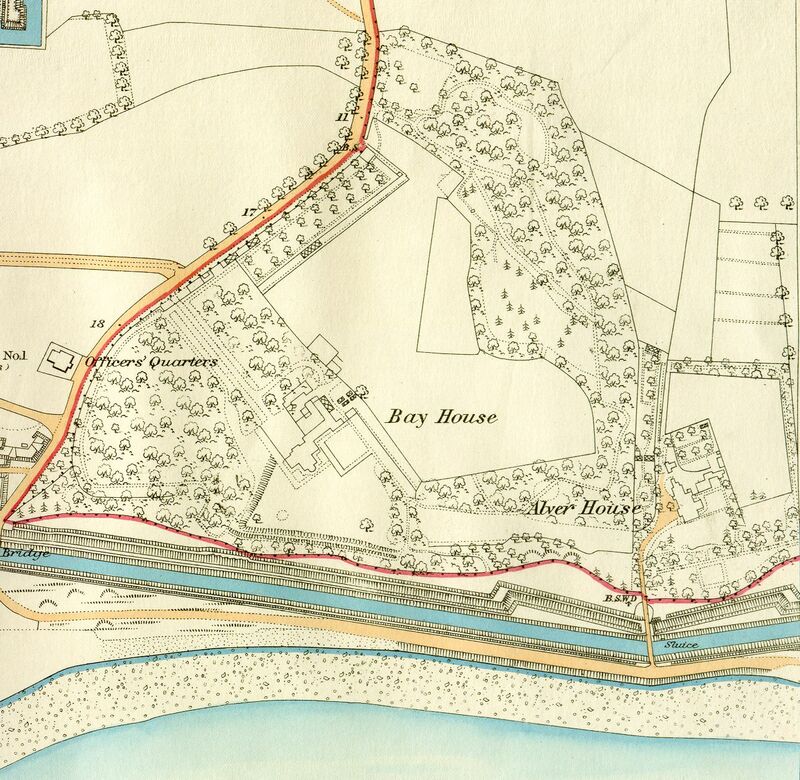 The Times of 1840 reported "Lord Ashburton and Mr John Wilson Croker have recently purchased small plots of ground of the Ordnance Board, fronting the sea in Stokes Bay, and both these distinguished characters are about to build marine residences there." The Dowager Lady Ashburton died at Bay House in December 1848 aged 70. Alexander Baring's son, William Bingham Baring and his wife Harriet continued to live at Bay House after the death of his father. Harriet died in 1857. In 1859 the house was occupied by The Hon. Miss Baring. On March 20 1862 The Times (and the Illustrated London News) reported that The Admiralty was about to take a lease on the house. We understand that the Admiralty are about to take a lease of Lord Ashburton's mansion. and grounds, on the shore of Stokes Bay, which have been recently purchased by the War Department. It is the intention of the Admiralty when the house and grounds are handed over to them, to fit the mansion as a college, to which we presume sea going tenders will be attached. It is situated at the western end of Stokes Bay, immediately opposite the Palace of Osborne, and the lawn extends to within 50 yards of high-water mark. 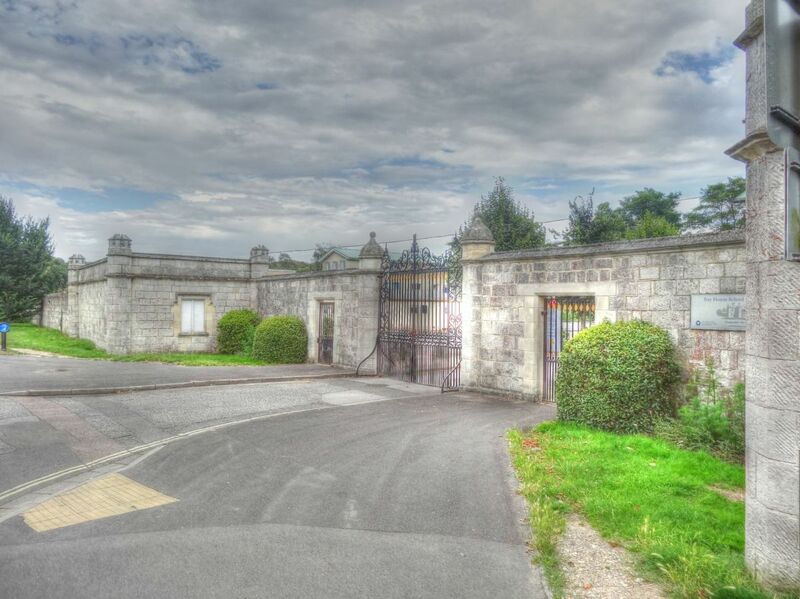 The approach to the house is by a handsome drive with Gothic lodges and entrance gates. A flight of steps lead to the porch, which gives entry to a noble hall, right and left of which are rooms of unusual size and height, admirably adapted for mess and school rooms, lecture-hall, and library. Illustrated London News 1862 Sale of "Ashburton House". The house was never known as 'Ashburton House', a mistake by the newspaper. The upper story contains 30 bedrooms, capable of giving accommodation at once to 100 cadets. A large garden, which extends from the back of the house, would be amply sufficient to supply the establishment all the year round with fruit and vegetables, while a ten-acre field adjacent to the lawn would furnish a capital playground. Forty acres of land altogether immediately surround the house. The shingly beach in front of the mansion affords a capital spot for the cadets to haul up and stow their light pulling gigs, while beyond low-water mark the nature of the ground will afford an anchorage where large sailing- boats can be moored. The sleeping accommodation, being at present limited to 100 boys, would, of course not be sufficient for a naval college where there is an average of 200 cadets; but a Wing could be added at little expense, and this addition would leave nothing to be desired in the mansion and estate. It would be contiguous to a Government dockyard; would be sufficiently distant, being two miles from Gosport, from any town to protect the pupils from the temptations thrown in the way of youths in a populous neighbourhood; and would be situate on a dry gravelly soil, with a southerly aspect and near enough to the beach to have ready access to boats and sea-going tenders. We trust the negotiation will be closed as speedily as possible for the sake of all concerned. It was said that at one time the Admiralty were in treaty for a house in Stokes Bay, near Gosport, formerly belonging to Lord Ashburton, with a view to converting that into a Naval college. ...The Stokes Bay situation is likewise objectionable; it is too close a proximity to the town of Gosport the grounds are on much too small a scale for such an establishment and there is very little other land available. moreover Stokes Bay is an exposed lee-shore and very ill adapted for boats, except in the finest Summer weather. In 1892 Burney's daughters sold the house to Francis Sloane-Stanley (1841-1904). Francis was the third son of the Rev. George Sloane Stanley, rector of Branstone. He was formerly a Lieutenant in the Royal Horse Guards and was J.P. for Hants. He was married to Charlotte Amy Rose (1849-1917) the daughter of Rt. Hon. Sir John Rose (of Montreal), 1st Bt. An advertisement for the house in 1891 described it as "A most charming residential and picturesque property, admirably suited to a yachting man, or to a family desiring a pretty seaside place in the South of England, with lovely grounds equally delightful in Summer and in Winter. The property was designed and laid out by the late Lord Ashburton. It is within a mile of Gosport and Stokes Bay Railway stations and comprises elegant detached stone-built residence, with south aspect, commanding lovely views of the Spithead, Ryde, Osborne and Cowes, charmingly situate in its own beautiful grounds, planted with numerous sub-tropical and other tree; a lodge and carriage drive approach; and contains nine servants' bedrooms, eight best bedrooms, two dressing rooms, bath, drawing, dining and morning rooms, entrance hall and commodious offices; five stalled stabling, loose box &c. The whole is freehold and covers 23 acres." Francis Sloane-Stanley, died in 1904 whilst resident at Bay House. See Note 1 A local directory for 1916 gives the occupier as Capt. Ronald Francis Assheton Sloane-Stanley J.P.
During World War Two both Bay House and No.2 Battery were used for the trial of secret amphibious vehicles (DUKW) by 7th Royal Tank Regiment Amphibious Wing based in Fort Gomer. In the run up to D-Day the 79th Armoured Division operated out of Bay House using the local area for trials and embarkation of swimming Sherman tanks. In 1951 Bay House was vacated by the Amphibious Wing. In 1943 Francis Sloane-Stanley's son, Lt.-Col. Ronald Francis Assheton Sloane-Stanley J.P. (1867-1948), a close friend of the Prince of Wales (later to become Edward VII) offered to sell Bay House with 28 acres of land to Gosport Borough Council for £15,000 The Council sought Board of Education approval to to buy the house for use as a Residential and Day Open-Air School for delicate children (on 5 acres); the rest to be re-sold to Gosport Borough Council for Stokes Bay development (part had been requisitioned by the Army). The purchase was completed in December 1944; Gosport Borough Council, took on the grounds as parkland for the enjoyment of the people of Gosport. 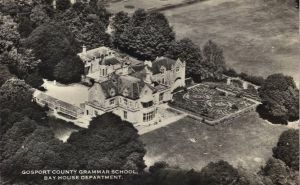 The grounds not used by the school were to be cleaned up and entrances provided at Gomer Lane and Stokes Bay. In 1946 the grounds became known as Stanley Park which officially opened on 29 March 1947. 3.75 acres of parkland to the west of Bay House was retained by the military despite it being de-requisitioned in 1946. From September 1949 Bay House was used by the pupils of Gosport County School. In 1956 Gosport proposed a three form entry County Grammar School at Stanley Park. It was to be used as overflow from the Walpole Road school and was officially opened in 1958 by Sir John Wolfenden, vice chancellor of Reading University. In 1972 the re-organisation of education saw the Grammar School amalgamate with Privett County Secondary School to become Bay House School. In 1985 the older part of the listed building was heavily damaged by fire, including the orangery. It was re-built within two years. The House, boundary wall and entrance lodge are GradeII listed. * I am indebted to Philip Eley for pointing this out. Originally this page cited a source that stated "Francis Sloane-Stanley, died in 1904 whilst resident at Bay House, leaving his sister Mrs Evelyn Sloane Stanley (born 1853) in residence." I read (above) that on the death of Francis Sloane-Stanley in 1904 his sister Mrs Evelyn Sloane-Stanley "was left in residence". Francis' son Ronald inherited Bay House. His wife Susie was my late father's aunt and he often stayed there as a child. Evelyn was in fact Mrs Henry Sutton, not Mrs Evelyn S-S. The monograph "Below Stairs at Bay House" by the scullery maid Lizzie Belbin does not mention her. I wonder if the evidence for Evelyn's presence stands up to detailed scrutiny? ...today by chance came across much more specific information about the future of Bay House after Francis Sloane-Stanley's death in 1904. In my grandmother's diary for Autumn 1904 (she was Mrs Ronald Sloane-Stanley's sister) she writes that "we went ..... to Bay House where Ronald and Susie were now settled, Mr Sloane-Stanley having died and his wife leaving to go to London".